Old fashioned values with state of the art equipment. It began with a tractor. 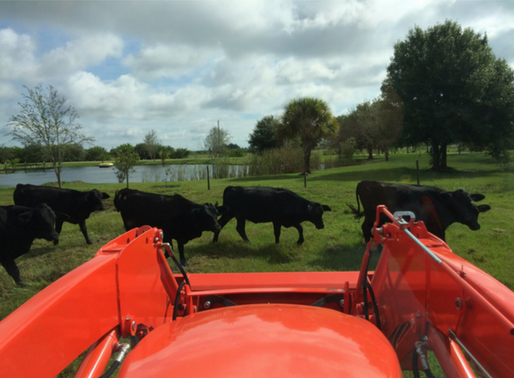 Retired from a successful career in the construction industry in South Florida, we bought a shiny orange tractor to mow our land and grade our road. Then the oddest thing happened. People flagged us down to come and do work for them. Well, one thing led to another and we began to gear up again. That old work ethic never dies. Asked to do heavier jobs, we branched into bobcat and mini excavator service. Now we have a stable of beautiful state of the art equipment. All shiny and orange. Yes, we really like our equipment. We take good care of it. We also take good care of our customers. Licensed and insured with liability and worker's comp, we're family-owned and operated right here in Vero Beach. Call us. We do it right. We move pretty fast, but we do slow down for cows.